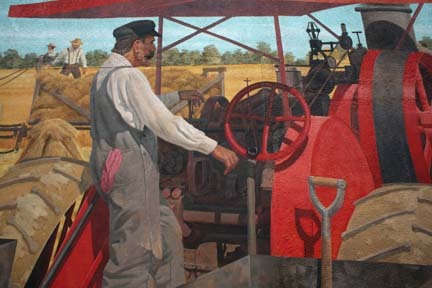 This mural depicts steam powered threshing and other early harvest activities in Woods County, Oklahoma. Many folks have asked when the Mural Society is going to finish this mural since part of it is sketched and part is colored in. 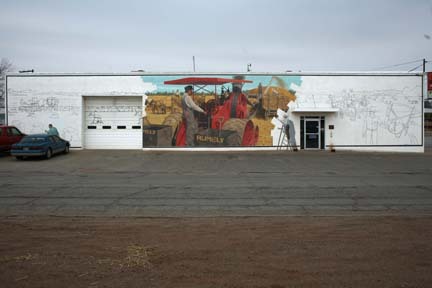 Actually this is the way the mural was designed. 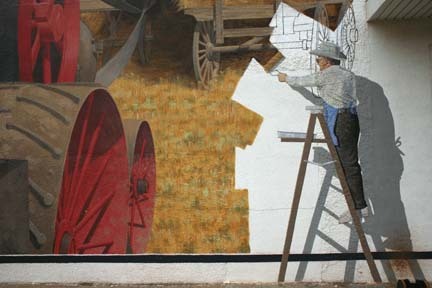 Roger Cooke put himself in this mural filling in color.